Control how long your users spend using your service. Give them an hour, a day or even a week. Set up access control with tokens. Create a “walled garden” of sites they can visit without restriction. Allow or disallow non-web traffic so people can get their email without needing to log on. 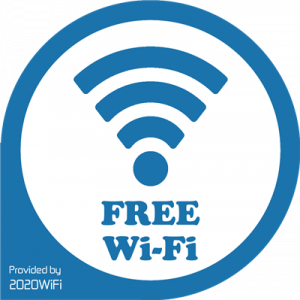 Limit the availability of your free WiFi service to certain times of day, or days of the week. Remind users with a gentle nudge after an hour, 2 hours or anything you choose with a non-instrusive pop-up. Do you have busy periods when it’s all about getting food or coffees out to customers as quickly as possible? If you make your free Wi-Fi service unavailable at these times, you can make more space for your important customers. They in turn will know that can get a table to eat at everytime they come in for a meal.